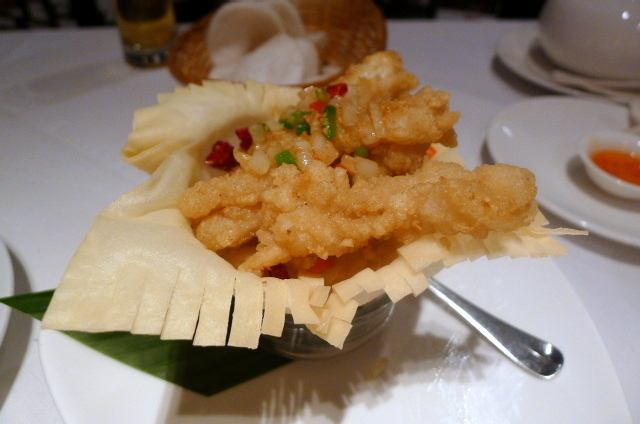 The salt and pepper squid wasn’t great. It was very oily and the batter was too thick and limp. There was not enough salt or pepper either, the essential elements needed to make this dish work. Consequently, the whole thing did not taste of much. 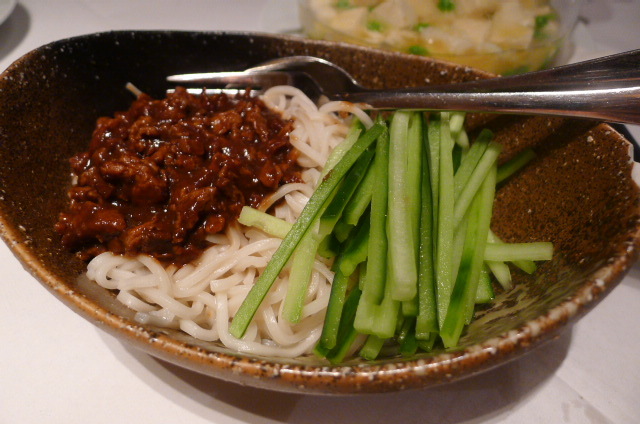 Traditional Beijing Noodles with yellow bean sauce and quick fried with minced beef (£7.80) tasted like it had been cooked with a mixture similar to gravox. To be fair, it was tasty, but in an MSG kind of way. The noodles were a little overcooked. 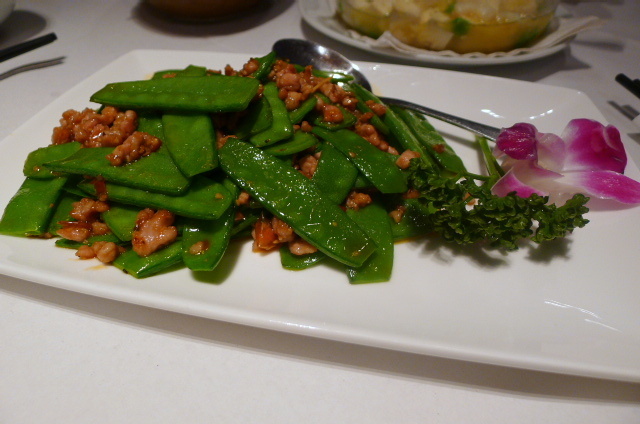 Classic dried fried green beans with minced pork (£10.80) came out to us with mangetout instead of green beans. Not that they bothered to tell us in advance, but yes the restaurant had run out of green beans. Sigh. Was it really possible for a professional kitchen to be this disorganised? 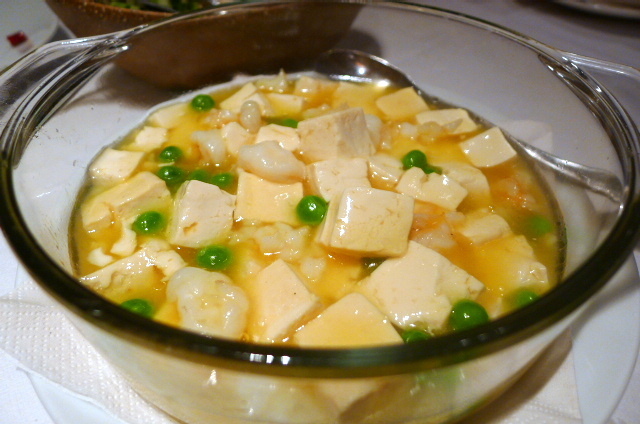 Tofu with green peas, prawns and salted egg (£13.80) was ok but bland as the prawns didn’t have much flavour. The menu said there was salted egg in the dish but I didn’t taste any. Nor did I bother to ask where it was. China Zen was a shambolic, diabolical experience. Notwithstanding that the kitchen was a mess and that it was missing half the ingredients it needed, the food wasn’t authentic either, catering essentially to Westernised palates. The service was average. The prices were dear relative to the quality of the food, or rather, the lack thereof. The discount helped to ease on pain on the evening. 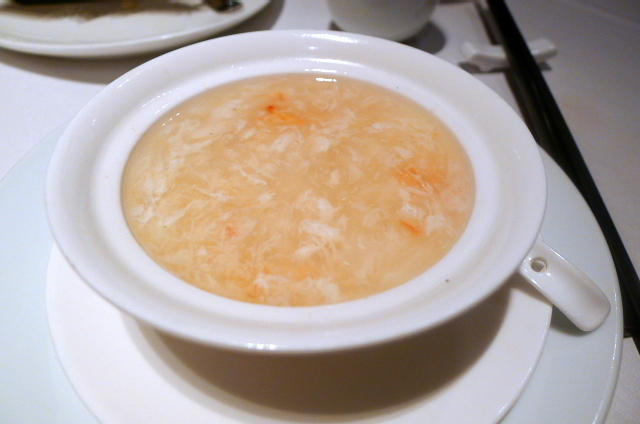 But discount or no discount, China Zen is not worth making the trek for. We didn’t have the Peking duck but it’s impossible for me to believe that it could be any good. Prices: Expensive for the quality. You can get better in Chinatown and pay less. What a disappointment! Thank you for helping me avoid this debacle. no excuses for all those menu items being unavailable, let alone how poor the food was in taste and quality that WAS served. Have you been to Kai Mayfair? I didn’t read all of your posts to check, but I adored their vegetarian hot and sour soup, and they had a very good spicy chicken too. PS: China Zen is to be avoided.